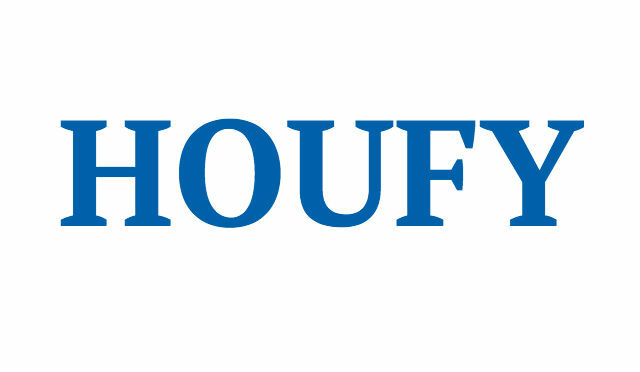 To follow Melanie Smith, please log in to Houfy or create an account. Fabulous 2BR/2BA Beach Condo with a DIRECT view of the ocean/beach. We invite you to stay in our family's home-away-from-home at the sugary white beaches at #906 Crystal Shores Condominiums!!! From our condo, the beach is 'at your doorstep'... no long boardwalks or dragging beach chairs and coolers across miles of sand, parking lots, or street crossings. Crystal Shores was built in 2004 and is a low density building with a large beach area. We are surrounded by restaurants, grocery stores and activities for the children. The area is quiet and family oriented. Walk to the Hangout, Sea & Suds, Pink Pony and lots of great shops! Beautiful views! We have a very clean and newly re-decorated 2 bedroom, 2 bath condominium. This smoke-free, pet-free, condo sleeps 5-6 comfortably. The kitchen is well stocked and has beautiful granite tops. There is queen size bed in the master bedroom and this bedroom has an adjoining full bath. The guest bedroom has a queen size bed and has a private shower/tub adjoining bathroom. There is also a queen size sleeper sofa in the den. The master bedroom and living room both have sliding glass doors that open to your beach front balcony. The balcony has a patio table and chairs where you can sit back and watch the waves roll in. There is also a full size washer/dryer. On site, there is an in-door/out-door pool connected by a swim-through feature, game room, exercise room, sauna, and assigned covered parking. FREE WIFI internet service. At beach-side, come take a dip in the swim-through indoor/outdoor heated pool and hot tub. What a fabulous way to enjoy the beautiful sunshine and stay cool in the summer and warm in the winter. After you swim, soak in the sauna, baste in the sun, then top off you day at the grill where you can cook steaks and any fish that may have found their way onto your hook! If you are a golfer, there are LOTS of very nice golf courses in the area... There is also lots of delicious food served at various restaurants in the area, water park, a zoo, miniature golf, Tract Amusement Park... etc. Details on all these sites/activities can be obtained when you arrive from the visitors center located very close to this condo on Highway 59. This is a NON-smoking unit, NO pets allowed, NO exceptions! The association does not allow pets sorry. If a pet is found to be in the unit, you will be required to leave immediately and will surrender the remaining rent and security deposit. No... No smoking at all in the unit OR on the balcony. This unit is suitable for small children. There is adequate space for wheelchairs. There has however been no special equipment added such as handrails etc. You are allowed to attend outside events from this location but NO parties etc allowed INSIDE the unit. YES, there is one reserved covered parking space just for you. There is an additional parking space in the public area if you need additional parking. Hello, I'm Melanie Smith and have been in the Gulf Coast Rental business for over 10 years now. I look forward to making this your best vacation ever. When you are ready to vacation on the white sandy beaches of Gulf Shores, just give me a call. The WEEKLY and MONTHLY price listed includes rent, departure cleaning, one parking pass, and tax. DAILY rate totals must be calculated. To do this... multiply the daily rate x number of nights you are staying... then add $130 (parking and cleaning)... then multiply x 1.11 (11% tax) to get your total. I accept personal checks or cashier's checks. If you prefer to use PayPal, I can certainly do that with an additional 3% to cover the financial PayPal charges. Just add 3% to the final price posted (weekly and monthly). Assuming there are no damages during your stay (which I expect there will be none :-) ), you will receive your deposit back via check (or PayPal if that is the way you paid your rent)... in approximately 7-10 days. Cancellations – A 4 week notice is required for cancellations, change in dates, or shortening your stay. Cancellations that are made more than 4 weeks prior to arrival date will incur a $50 fee. (Monthly renters must give a 3 month notice to avoid losing their deposit.) Cancellations or changes that are made within 4 weeks of your stay will forfeit the security deposit. Those giving a 3 weeks notice will receive a 75% refund, 2 week notice – 50% refund. Multiple month rentals will lose full deposit with cancellation at any time.